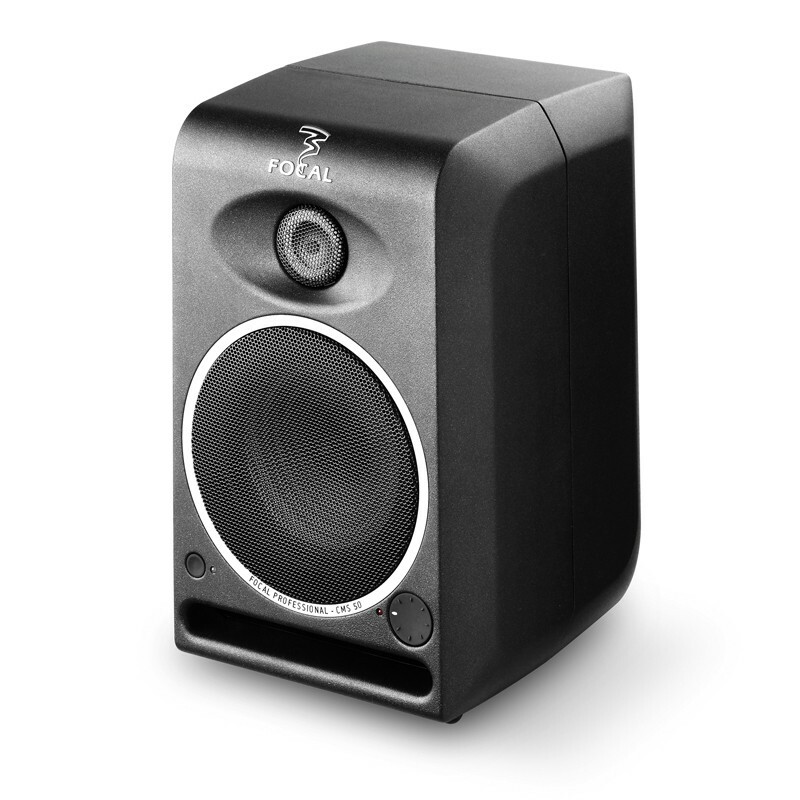 2009 MIPA Award-winning nearfield monitor from pioneering French loudspeaker manufacturer Focal, the CMS 50 has consistently received rave reviews from press and users alike. The monitor has four rubber feet (two of them height-adjustable), decoupling table stand, and phase optimization plug for the tweeter. The design of the CMS 50 permits a listening position from 19" (50cm), while still keeping the possibility to place the monitors at a great distance from one another without damaging the soundstage. The 5” (13cm) mid-bass reaches down to 55Hz, while offering a controlled bass and a totally linear midrange. A two-way active design with a letterbox front port, this powered monitor delivers an impressive sound from its 80w low freq / 50w high freq biamped system. The 5” woofer can handle low end with tightness and balance but if you need additional power in the lower registers you can always add a Focal Sub. The Polyglass cone delivers both punch and exceptional clarity. The large front port lets you wall-mount the CMS 50 from 24” without any loss of control in the bass register. The cabinet constructed from reinforced and dampened Aluminum, with a black powdered finish, the CMS 50 looks - and is - modern, tough and stylish.